DAVID LE/Staff photo. 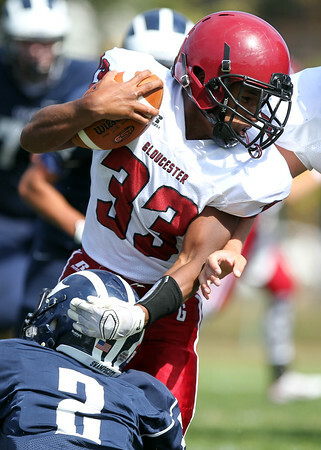 Gloucester running back Jermaine Edward (33) surges forward while being brought down by Swampscott's Sean Lahrizi (2). 9/26/15.